There are exceedingly few men about whom it can honestly be said that if they did not come to Los Angeles there would be no Los Angeles. If Isaias w. Hellman did not land in Los Angeles it is safe to say California would not have developed into the sixth largest economy in the world, and Los Angeles would have taken a decidedly different path. Why the average Angeleno has heard of William H. Mullholland and not Isaias Hellman is a pity. October 3. 1842 Isaias Hellmann was born into a Jewish Bavarian home. A steamer brought him and his brother Herman to San Pedro in 1859, but Phineas Banning’s barge1 brought them to shore. Two hours later, at the cost of $20.00, a Conestoga wagon delivered Herman and Isaias to the Pueblo. In 1859 there were a mere 4,000 accounted for residents in Los Angeles. Banning took a liking to Isaias, who was learning to speak English, and invited him to stay in his home. Still in 1859 Isaias began sleeping on a cot in his cousin’s store while learning the dry good business. By 1865 Isaias had considerably improved his cousin’s store while becoming fluent in English and Spanish. That year he paid $525 for a dry good store on Commercial and Main Street. He put another $1,000 into upgrading the store. Although many of the upgrades were lavishfor the frontier town, one upgrade changed history. He invested $160 for a Tilden & McFarland safe which he placed on the counter to demonstrate stability. The dry good store also had a scale to measure gold dust and nuggets. Isaias soon began allowing Angelenos to store gold and other valuables in his safe. Safety deposit boxes and banks did not yet exist in Los Angeles. By 1867 the safe contained $200,000 (approximately $32,000,000 today) which belonged to men such as Miguel Leonis and William Workman. Isaias’ safe was particularly handy because the only other option was to use Wells Fargo to ship gold coin by stage to San Francisco. This cost money, posed risk, and led to long delays in order to get one’s money back. Isaias did not impose any charge for the use of his safe. Things changed when an irate Irish miner who regularly kept his money in the safe, and made withdrawals, came to withdraw the last of his money. The miner called Isaias a dirty Jew, accused him of stealing his gold, and lunged at him. A friend calmed down the miner by reminding him he used his money to gamble and drink, but Isaias decided he would have to set up formal banking functions. He went to the printer and ordered deposit and withdrawal slips labeled, “I.W. Hellman, Banker” and became the first banker of Los Angeles2. In 1867 Herman Hellman (the n was dropped from their name when they came to Los Angeles) opened his own shop which today3 goes by the name of Smart & Final. By 1867 Isaias was one of the thirty richest Angelenos. In 1868 Isaias’s bank moved out of his store, and into a partnership called Hellman, Temple & Company. By this time Temple (as in Temple Street) was married to Workman’s daughter. The bank’s customers included Pio Pico (California’s first governor) and Diego Sepulveda (this member of the Sepulveda family owned a large portion of Santa Ana and Costa Mesa). 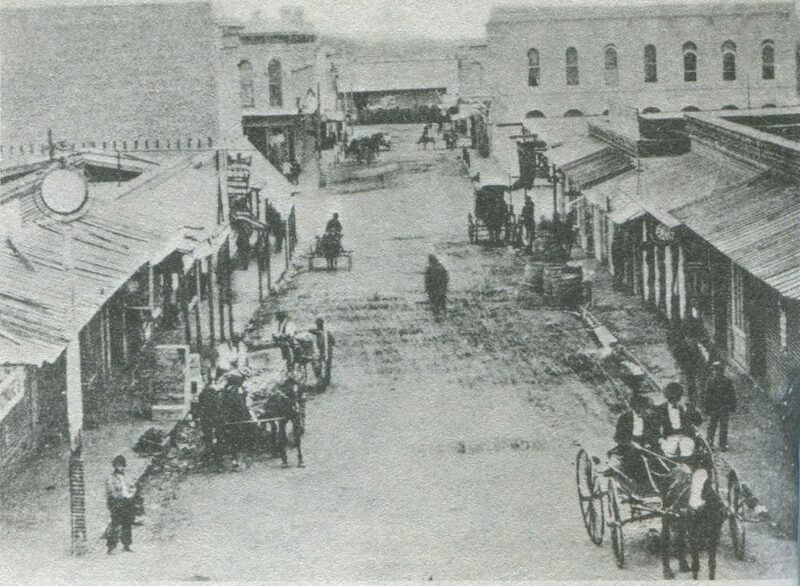 In 1863 Isaias bought his first lot in the outskirts of town on Hope and Seventh Street. By 1869 he was involved in most of the large scale land purchases in Los Angeles either as a lender, or purchaser. Around this time he bought his first vineyard near the Los Angeles River. By the turn of the century he sat on the California Wine Board. In 1870 Isaias married Esther whose older sister was married to Meyer Lehman, a Barvarian cotton grower who started a firm called Lehman Brothers. In 1871 Isaias recruited John Downey to form the Farmers & Merchants Bank. Although Isaias ran the bank, Downey was the official president of the bank because Isasis feared there would be out lash if the figurehead of the bank were a Jew. Isaias was instrumental in funding Los Angeles’ first gas, electric, and water companies. 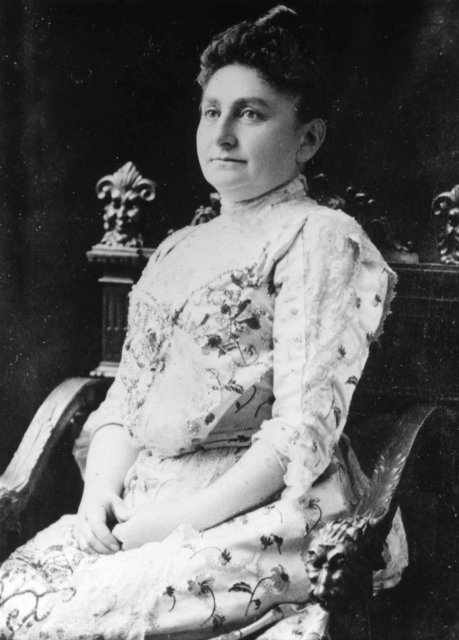 Amongst her many charities, Esther became involved in the Ladies Hebrew Benevolent Society which raised the money for Los Angeles’ first synagogue in 1872. This synagogue may have been the first reformed temple in California. Rabbi Edelmen allowed men and women to sit together while some of their prayers were in English neither of which is allowed during traditional Jewish prayer. 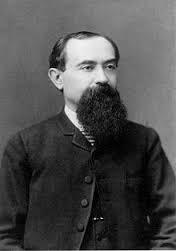 By 1872 Isaias worked with Leland Stanford to make sure the Southern Pacific Railroad came through Los Angeles and not San Diego. A similar situation with the port also occurred which many Los Angeles historians credit towards Los Angeles’ rise and San Diego’s nadir. 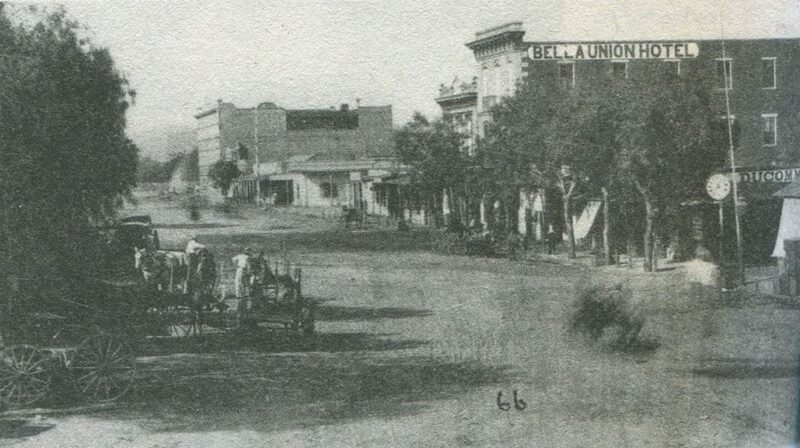 By 1875 Isasis developed the dominant trolley system in Los Angeles which allowed the city to spread out. The same year he bought out Rancho Cucamonga. In 1875 there was a run on the Bank of California in San Francisco due to the decline in the silver industry, land speculation in California, and a panic in the East. This caused a run on Isaias’ bank, and its closure for four days. Meyer Lehman wired Isasis $20,000 which he turned into gold and stacked up on the counters of his bank to demonstrate they were solvent. Future withdrawals did not occur, the only other bank in Los Angeles went out of business, and a financial disaster in Los Angeles was diverted. Sensing the movement of the city, In 1876 Isasis’ purchased thousands of acres in Southwest Los Angeles. In 1879 Methodists were looking for land to use for their new university. Isasis donated the land upon which the University of Southern California opened with in 1880. California’s governor was so impressed with Isasias’ donation he made Isasis a Regent of the University of California. In 1878 Isasis became a 1/3 owner in Rancho Los Alamitos which happened to include Signal Hill (a large oil producer in California). He would also purchase Rancho San Pedro. In 1883 Hardison & Stewart owed a considerable amount to others, and had not hit a gusher. Notwithstanding their $183,000 debt to others, Isaias made the men a last resort loan of $10,000. Hardison & Stewart is now known as Unocal. In 1882 Isasis loaned Mr. Otis $18,000 to buy out a certain Los Angeles newspaper called the Times. Otis and his son-in-law Harry Chandler are the third men mentioned in this article for which had they not been in Los Angeles there would be no Los Angeles as we know it. 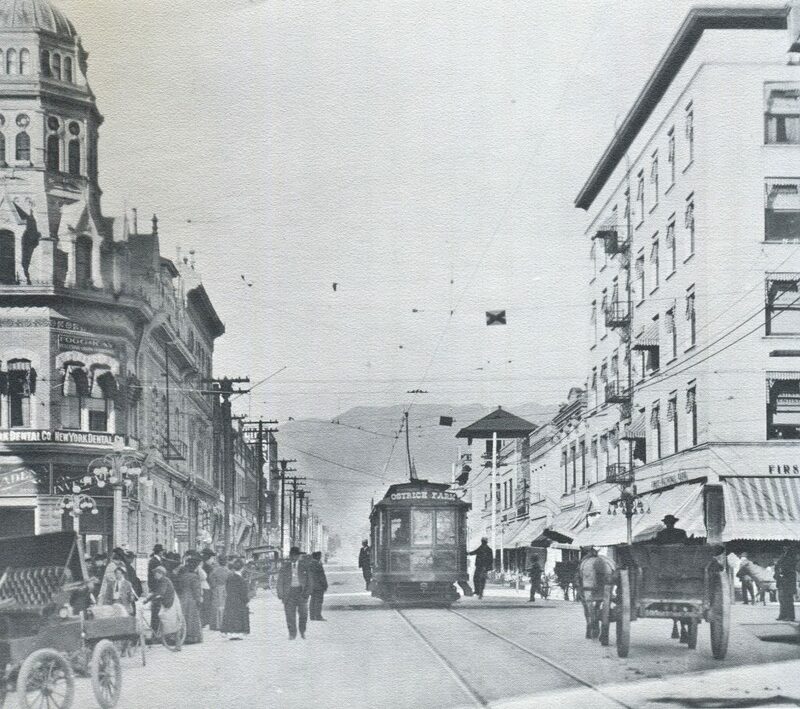 In 1890 Isasis moved to San Francisco where he took over the Bank of Nevada followed by the Union Trust Company in 1893. In 1893 he prevented financial ruin in both Los Angeles and San Francisco by stocking gold coins on the counters of his banks where he kept larger reserves than others. Although relocated to San Francisco, Isasis maintained significant interests in Los Angeles. In 1893 he loaned Mr. Doheny’s new partner $500 to find oil lurking underneath Los Angeles. In 1893 he provided a $50,000 loan to build the break wall for the creation of the San Pedro Harbor. In 1898 Isasis established the Los Angeles railway with Henry Edwards Huntington. 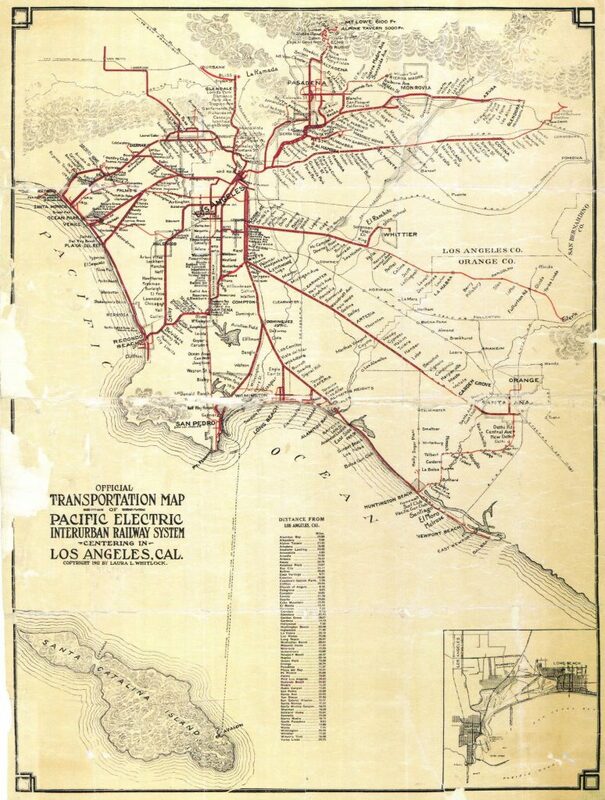 In 1901 the two established the Pacific Electric Railway which ultimately spanned from downtown Los Angeles to the sea, and served as the street car company in Los Angeles. Esther died in 1908. Isaias followed in 1920. At different times their son and grandson became presidents of Wells Fargo Bank. Wells Fargo Nevada National Bank absorbed the Union Trust Company in 1924 and became known as Wells Fargo. Farmers and National Bank became Security Pacific Bank which ultimately was absorbed by Bank of America. Some speculate there has been a lack of interest in Isasis Hellman because he was Jewish. Notwithstanding his importance in Los Angeles, California, and San Francisco history little is written about him. A primary source for this article was a book an ancestor of his wrote called Towers of Gold. Isasis, like many men living in Los Angeles during its infancy were simply there at the right time. 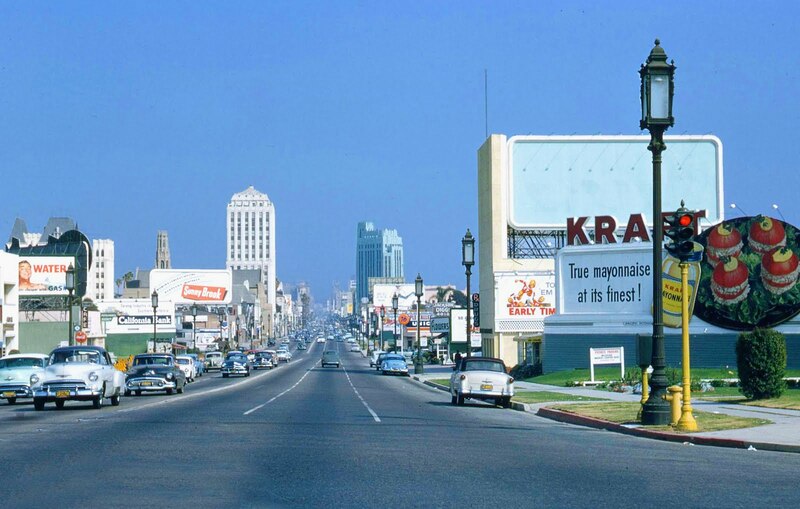 Part of the timing was Los Angeles was ripe for the establishment of industries, and land bought in the beginning was destined to meteorically rise. Isasis, however, was a banker during the demise of the Dons. It is a well-known fact the descendants of the Spanish land grants lost their vast holdings through unscrupulous lending practices. Because Towers of Gold was written by an ancestor, the author of this article wonders if there was exclusion from the history on exactly how Isaias acquired many of the former Ranchos that became his. However, this licensed California attorney was not able to find any reported cases in which Isaias’ or his lending institutions called in mortgages on any of the Dons. Nor during his lifelong study of Los Angeles history does he recall Isasis’ name coming up as one of the lenders who foreclosed on a Don. More research on this topic will be conducted. 1 Without the need to outfit Phineas Banning’s silver mines Los Angeles would never have been.